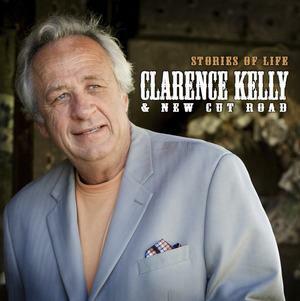 Clarence Kelly was born September 6, 1955 in West Liberty, Kentucky. He was the fourth child of Santford Kelly and Daisy Proffit Kelly. Clarence had two brothers, Ralph and Wayne Kelly and one sister Tressie. Clarence lost his mother when he was three years old, so he was raised by his father with a lot of help from his sister Tressie. This is where his exposure to music started. He got a guitar when his father traded 6 ducks for the instrument. He was self taught with some pointers from his father. Early on in his life he was a big fan of the Stanley Brothers, spending a lot of time listening to the radio and learning the words and music of these and other Bluegrass artists. Clarence played his first public gig at Hoedown Island, Natural Bridge Kentucky when he was 11 years old, along side his father. Clarence has always loved music but he always put his work first. He moved to Dayton Ohio at 17 after he lost his father. With his father gone he had to move from the place he had always called home. He had always thought he would leave West Liberty at some point to find work and an easier life. He was quickly employed in the roofing business which he learned from the ground up. Clarence went back to music in the late 70's and 80's with a band called "Jewel Mountain Grass." They played in the Dayton area as well as Michigan, Indiana, and Kentucky. He always put the welfare of his family first so music was just a hobby. Clarence again started playing in a band in the late 90's when he teamed up with Carlos Brock, Noah Crase, Clarence and Wanda Baker as the Bluegrass Legends. It was no secret that he could write as well as sing. He really started writing in earnest while playing with the Legends. 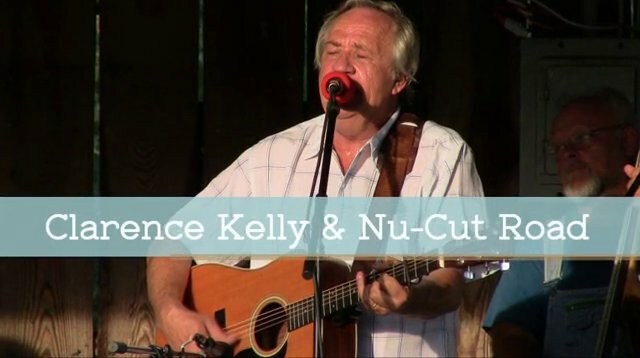 He co-wrote South of Cincinnati with Noah Crase and it has really been popular in Kentucky, due to an appearance on the RFD Channel, The Cumberland Highlanders show. The bandmembers are: Clarence Kelly, Gerald Evans Sr., Carl Caldwell, Don Hill and Jerry Ankney. Clarence has gained attention for his soulful singing and songwriting. He is a hero to the fans and friends in his hometown of West Liberty, Kentucky. If you have never heard Clarence sing, you are in for a treat!